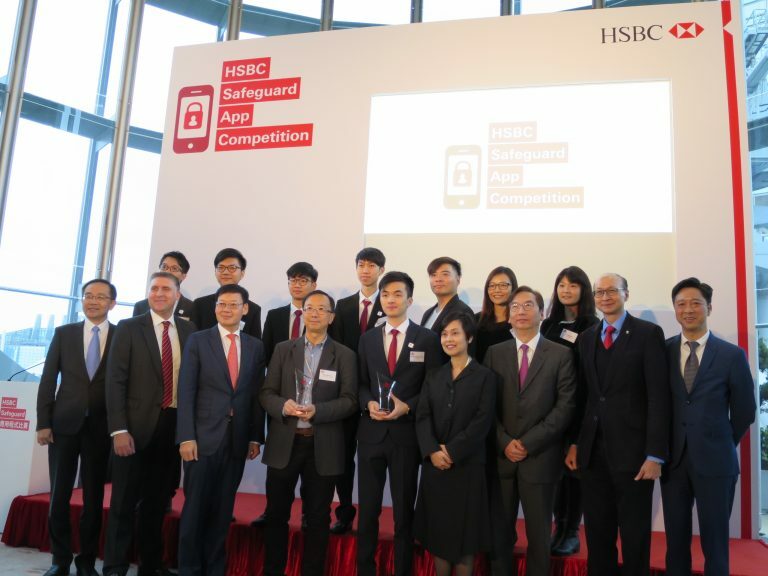 At the Demo Day of the Safeguard App Competition organised by HSBC on 13 December 2017, student teams and start-ups showcased their ideas. 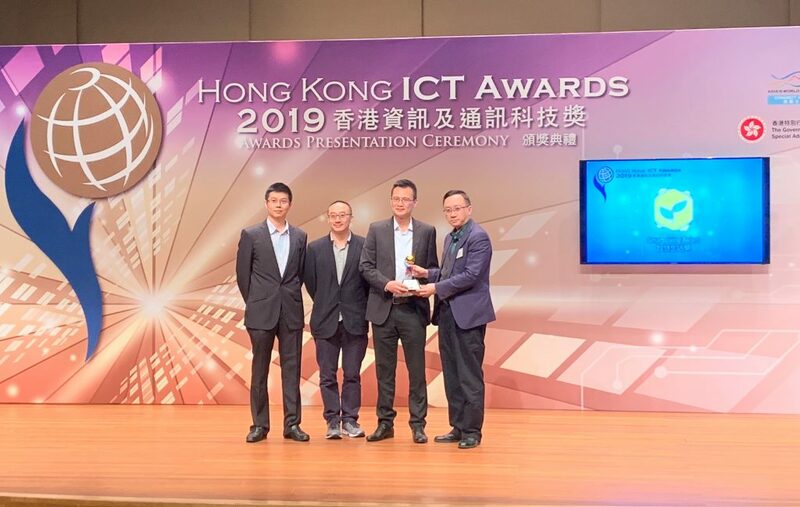 ASTRI was the Technology Enabler in this contest, providing a suite of Application Programming Interfaces (APIs), which contestants used to develop their iOS or Android app prototypes. 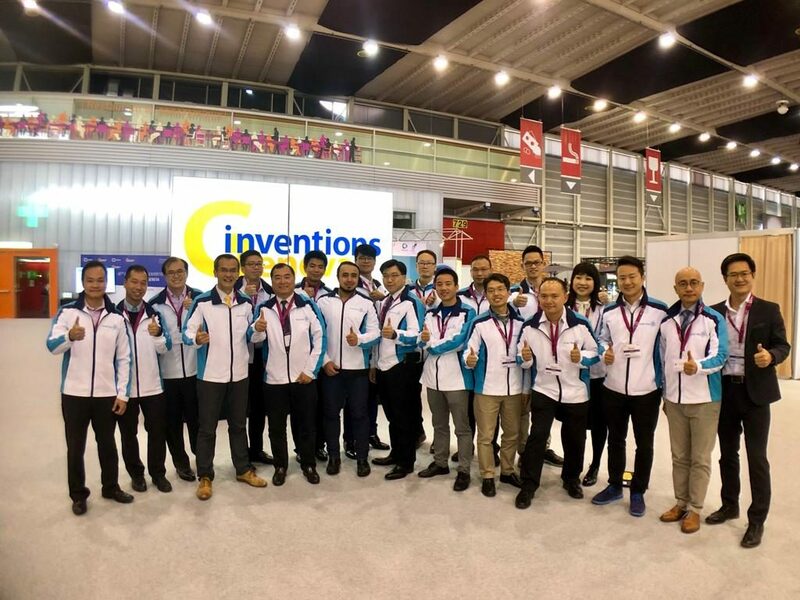 In addition to providing training materials and support in addressing contestants’ queries, ASTRI built a Blockchain-based virtual platform for contestants to use as they developed their application prototypes for the competition. 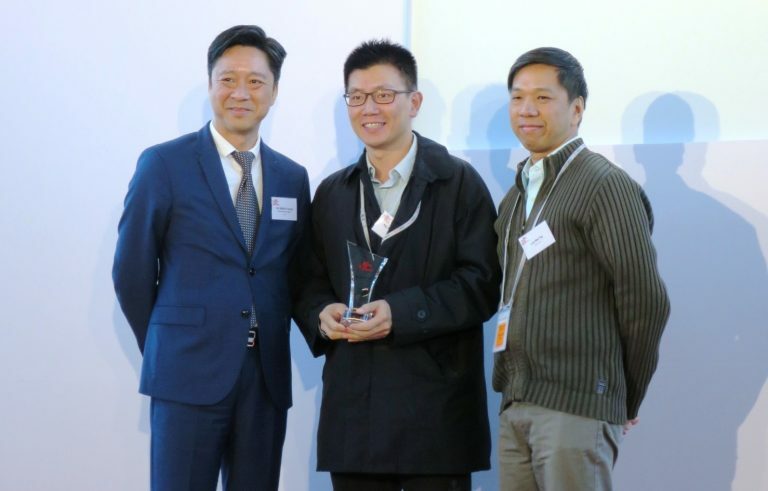 Launched in September 2017, the competition was open to Hong Kong-based tertiary students and start-ups, who were invited to submit innovative solutions to help bank customers to maintain their most up-to-day information in account profiles. At the Demo Day, shortlisted teams pitched their proposals to a panel of respected banking and technology experts. Dr MeiKei Ieong, Chief Technology Officer of ASTRI was a member of the judging panel which also included Mr Li Shu-pui, JP, Executive Director (Financial Infrastructure), Hong Kong Monetary Authority; and Ir Peter Yeung, Head of EE and ICT Cluster, Hong Kong Science and Technology Parks Corporation; and executives from HSBC: Mr Raymond Cheng, Chief Operating Officer, Asia-Pacific; Mr Greg Hingston, Head of Retail Banking and Wealth Management, Hong Kong; and Mr Daniel Chan, Head of Business Banking, Commercial Banking, Hong Kong. 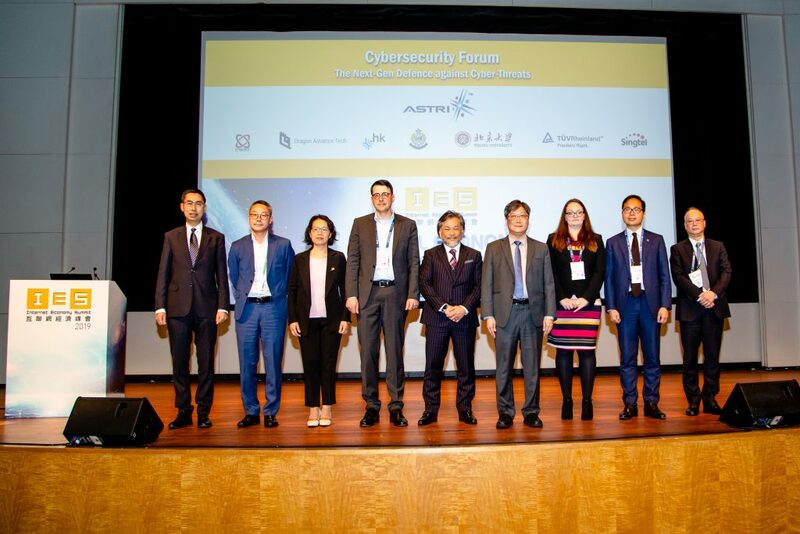 Speaking at the event, Ms Diana Cesar, Chief Executive of Hong Kong, HSBC congratulated the winning teams and extended her gratitude to the judging panel and the contest’s technology partner ASTRI. She talked about the HSBC-ASTRI R&D Innovation Laboratory which mobilises FinTech developments through exploratory activities in various areas. The winner in the Student category was InstaSure who came up with a user-friendly interface for individual users to monitor and maintain account security. Game Changers, the second prize winner, aims to utilise information sharing within social groups to help customers to maintain, verify and share their contact information. BU WWW, winner of the third prize, proposed an app that can update customers’ information in real time in an automated and secure way. The winner in the Start-up category was Earth Channel Limited. They developed a smart eWallet app that collects customers’ information in an efficient way – protected by two different Blockchain technologies that respectively carries out predictive analysis of customers’ location and lifestyle preference, and ensures the maximum privacy of their information. BETECH won the second prize for their idea to automate the updating of phone numbers and addresses, using machine learning technologies. The third prize went to Cloud Connect Technology for their ‘Click Click Through’ app which stores and updates customers’ data across distributed ledgers. 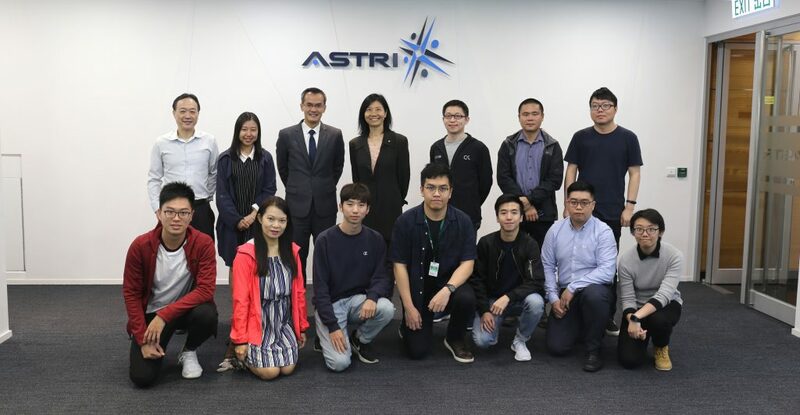 ASTRI looks forward to advancing its FinTech R&D partnership with HSBC by developing more innovative applications, prototypes and proofs-of-concept that will make banking better, faster and safer.